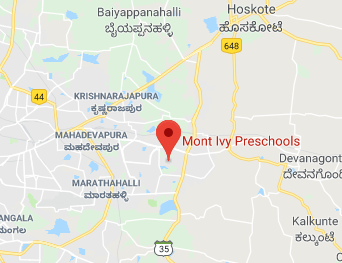 Frequent search queries such as "Best Montessori preschools in Whitefield", or "Montessori preschools in Bangalore" indicate growing popularity of Montessori based preschools in Bangalore. However, parents often wonder what is a Montessori preschool? 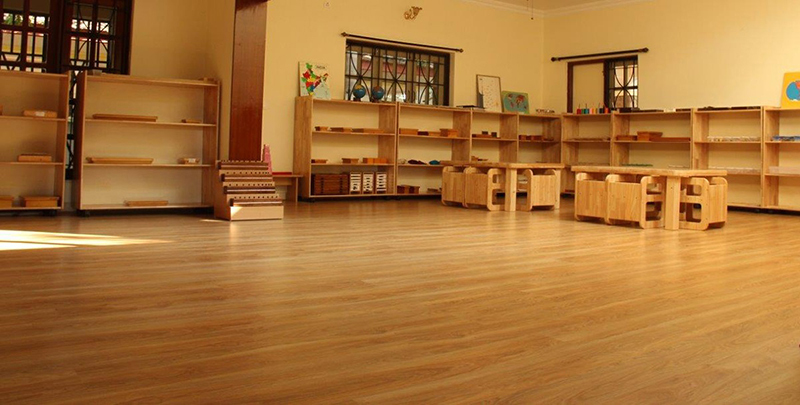 A general perception is that any preschool that caters to the age group of 0-6 years is a "Montessori". And to add to that perception, many preschools procure minimal Montessori materials and claim to be Montessori preschools. Yet, this cannot be further from the truth. The term "Montessori" comes from the name of the Italian lady Dr. Maria Montessori, who developed this learning philosophy in early 1900s after years or scientific research and observation (more about her here). And Montessori preschools are those preschools, that follow this learning methodology in its essence. The first things a parent observes in a pure Montessori environment (or classroom) are shelves with all kinds of familiar and unfamiliar materials organized neatly. These shelves are categorize into the verticals of Montessori method (which are EPL, Sensorial, Language, Maths and Culture). The environment has a complete set of materials and exactly one of each material (for a good reason). The materials are placed in such a manner that they are within easy reach of the children. In contrast to the colorful interiors with cut-outs of craft work, paintings and graffiti all over the walls/ceiling, the Montessori environment is a calming space, free of distractions. While gaudy colors are good to attract on the exteriors, the interiors of a Montessori environment helps focus and concentrate. Red flag for parents: If the environment is not complete with all the materials or is unorganized and materials are all mixed up; If the materials are beyond comfortable reach of children; If there is very little natural light, or the walls, ceiling are full of distracting art work, craft etc. The usual practice in traditional preschools is to segregate children of similar age groups (with maximum of one year of age-gap) into different classes. In a pure-Montessori setup, children of different age groups (with age gap as wide as three years) are part of the same environment (classroom). This mixed-age-group helps children immensely with their social skills. Older children learn to behave in the presence of younger ones and younger children feel at ease around bigger children. Another benefit of this setup is development of leadership skills. Older children get an opportunity to take a lead in helping out younger ones. At the same time, younger children get motivated to take-up newer activities when they observe older children doing them, aiding their own progression. Red flag for parents: If a school claims to be Montessori preschool but maintains environments (classrooms) based on 1-year age-groups such as "M1, M2, M3" or "Mont 1, Mont 2, Mont 3" and does not follow mixed-age-group, then it is violating one of the core principles of Montessori. This is the most critical aspect of a Montessori school. Montessori teachers are called "Directresses" because their job is to direct. As per the Montessori philosophy, children learn by themselves and adults just need to direct them (therefore Montessori teachers are also known as 'Montessori adults' in the environment, students being 'Montessori children'). 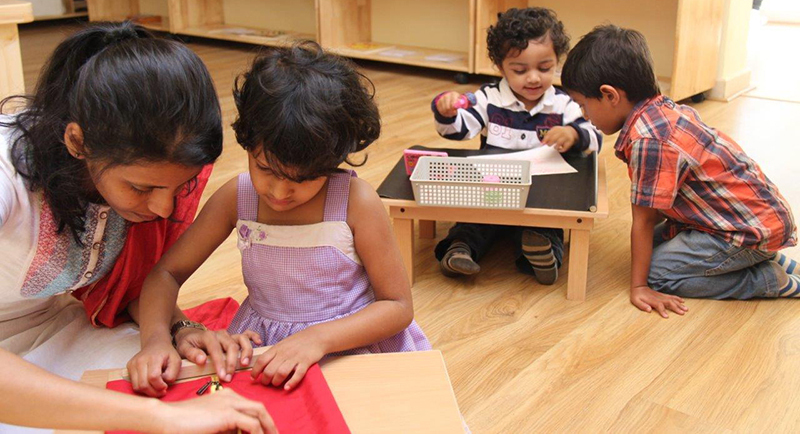 Montessori is a very scientific method based on years of primary research and observation. It dives down deep into the psychological and physiological aspects of development of children. Therefore, it takes considerable time for a trainee teacher to internalize and implement its principles. It also takes considerable effort to understand the purpose and presentation of hundreds of materials in use in a Montessori environment. The most important skill is child observation. The directress observes a child and keeps presenting the child with new activities based on her judgement of the child's current capabilities, interests and inclinations. An inaccurate observation may lead to presentation of inappropriate materials (or at the wrong time), which may cause the child to lose interest. Therefore, a full-time trained directress, with adequate observation/teaching practice makes the key difference. Red flag for parents: If the preschool is opaque about sharing credentials of the teachers; If the teachers have not completed their Montessori training; If the teachers have done very short duration courses - just for the sake of it. 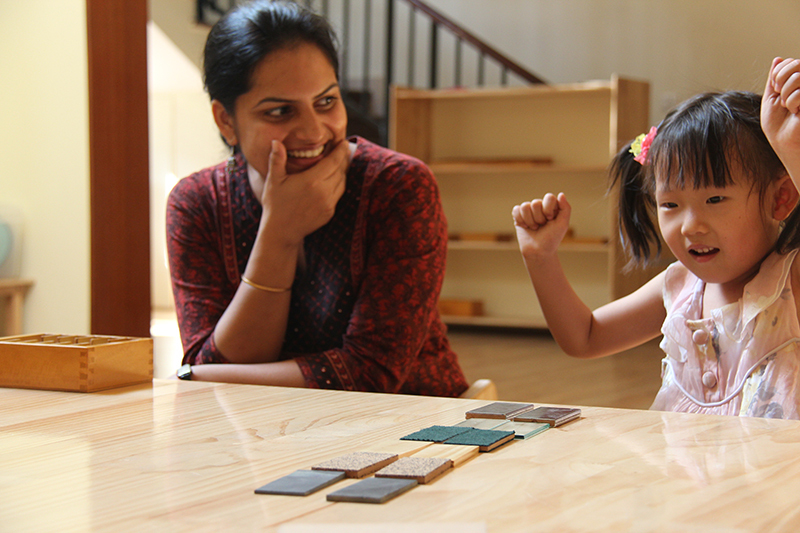 Although "Montessori" per se is not officially recognized by the government in India, but in countries where Montessori schools are recognized and accredited separately, they are required to meet all the above requirements strictly to be eligible to be recognized as Montessori preschools. Therefore, in the absence of any such regulations in India, it becomes even more important for parents to know (in advance) what to look for while considering preschools for their children. This article aims to provide that knowledge to parents who have very little idea about Montessori or do not know what to look for when visiting a Montessori preschool.